Ski clubs now have a greater sense of ownership with their rising stars and the US Development team members remain connected to their clubs, hometowns, and act as influential members of their local ski communities. With all the abbreviations these days in development it might be hard to distinguish between an NTG, REG, and NEG. Allow me to break through some of the jargon and give our development pipeline some context. After achieving some top 10 results at Junior World Championships I was named to the US development team in 2002. Back then we only had 6 skiers on the National A team and believe it or not the US Ski Team actually operated on a bigger budget. With less National team members to support there was more leftover funding to help pay for development team project such as housing in Park City, a coach (then Chris Grover), and funding training camps in the summer for us lucky D team members. Nowadays, US developing skiers receive no direct funding from the US Ski Team. I know this sounds a little crazy, but with such a large National team operating on a small budget, resources are allocated to the A Team first. The only true funding provided by the US Ski Team for development goes to hiring one coach. Bryan Fish is the US development coach and is one of the hardest working individuals in the skiing world. He writes coaching curriculum, organizes training camps and race trips, and does so much with so little funding it’s astounding. After working with Bryan more this summer I’ve seen his training knowledge first hand and have been so impressed. Bryan is also responsible for mapping out the current development pipeline, which I think, has proven to be very successful despite the funding cutbacks. In the current system the US Development team is still made up of skiers who achieve stand out results at World Junior or U23 championships, just like they did with my generation in 2002. However nowadays these development team athlets are left to cover most if not all of their expenses. Luckily the club support is a lot stronger than it was when I was a junior, which helps offset some of these costs. 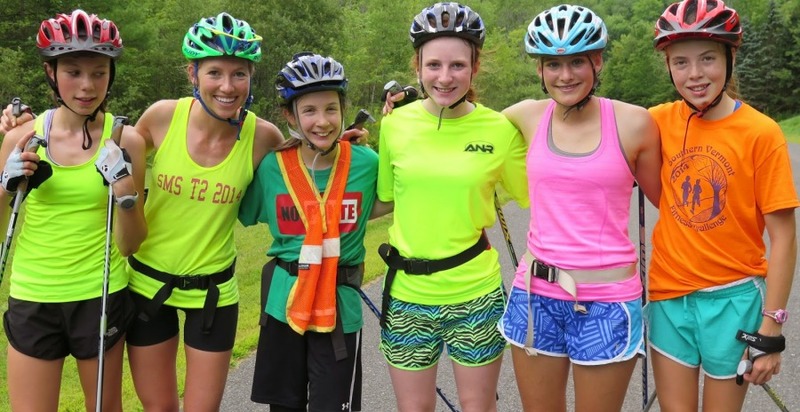 In addition fundraising non-profits like the National Nordic Fund have been created and provide thousands of dollars of funding to these athletes. It’s not a perfect system but it is working, and in a lot of ways has become more sustainable. Ski clubs now have a greater sense of ownership with their rising stars and the US Development team members remain connected to their clubs, hometowns, and act as influential members of their local ski communities. Thankfully as we continue to grow as a skiing nation organizations like the National Nordic Fund and The Birkie Foundation have found ways to collaborate with the US Ski Team and help form a more robust development pipeline. Now the US Team is able to connect with more developing athletes throughout the country because of the NTG, REG, and NEG camps. NTG– National Training Group is comprised of Juniors (under 20 years old) who had the best results at junior National or World Junior Championships. Because of their successful racing seasons NTG athletes are invited to a US Ski Team camp in June and October lead by Bryan Fish. The US Ski Team is responsible for the logistics and planning of the camp but athlete funding is provided by outside organizations and the athletes themselves. REG– Regional Elite Group is comprised of top-level juniors who competed well at Junior Nationals. (Yes an athlete can be part of the NTG and the REG). The main purpose of each region during the summer is to host an REG training camp. The region is responsible for the organization and logistics of the camp but the US Ski Team pays for Bryan Fish to be there to work with the kids. REG camps must consist of an uphill run test, double pole test, and agility test that athletes compete in to show their strengths. NEG– National Elite Group is made up of the top athletes from each REG camp. When an athlete competes well in their REG double-pole test, uphill run, and agility test they are qualified for the NEG. Every October the NEG group meets in Park City for the last group training camp of they year and trains along side Bryan Fish and the US Ski Team once again. The primary goal of the NTG, REG, and NEG is the same: try to get the best young skiers in the country together so that they can push each other and learn from each other.